My new double glazed windows made a great difference during another long, hot Canberra summer. My air conditioner wasn't needed much this year and my electricity bill was much lower. I was really impressed with the quality of the product and the workmanship displayed during the installation. In fact, the whole experience of dealing with Mint Windows was easy and enjoyable. We had Mint Windows and Doors install windows and doors throughout our new house build. It was the best decision we made in the entire build process. The quality is fantastic, tilt and turn design is miles ahead of anything locally available and on these winter days our house is 8-10 degrees warmer overnight than the outside temperature. This is achieved through the mint double glazed windows and doors, thermal mass concrete floor but without any other form of heating. I cannot recommend them high enough, great product, great team. When we first find out about Mint, they offered for us to visit their warehouse/showroom. Since then we couldn't turn back to ordinary windows and frames. The quality was beyond our expectations, and we loved how the standard windows had both the options of opening and tilting. We just had all our windows and sliding doors done by Mint 2-3 months ago and we couldn't be happier with the service and the products! We live just behind a very busy main road but it's whisper quiet inside the house. Thank you so much Mint! Sam & Nathan are good blokes. Nathan [who does most of the installing] is obsessed with doing a high quality job. He spotted some small imperfections in one glass panel I would never have noticed & insisted on replacing it. Also, my window size was larger than normal & they were the only company prepared to do the job & the price was extremely competitive. I just wanted to give this fantastic company the well deserved recommendation it deserves! We all know how stressful renovating your home is.. but from the very first moment of meeting the fab team they made me feel at ease .. I never knew I would be so excited about Windows! Honestly if you want a company who is trust worthy and efficient and fantastic value for money please give them a call u will not regret it!!! Thank you so much Mint Windows we r so in love with what you have done so far!!!! Usually I am not one to leave recommendations, but Mint Windows and Doors and their fantastic staff are the exception. In May this year I made contact with Mint Windows and Sam Powell came down from Sydney to Canberra to do a quote. Our organization is not for profit, volunteer organization and we are slowly refurbishing a former Monastery here in Canberra. We have no heating, only in our personal rooms, so we were looking to replace some Windows and doors with some double glazed units. The building was built in the 1950's, so we required bespoke doors. Nearly 3 meters high for our dining room. Sam was always available for the endless questions I had, and when the decision was made to go wth Mint, everything went seamlessly. The doors arrived on time, the installers were fantastic and worked all day without complaint, going well above the requirements to make sure the doors were in and we were secure for nightfall. They were cheerful, polite and were a pleasure to have here. I cannot recommend Mint Windows and Doors highly enough. Everything went without a hitch, at minimal disruption and the quality of the product is second to none. I can say that with confidence, as we did a great deal of research prior to our decision. We will use them again. Retrofitted my house with Mint Windows. The whole process was an absolute pleasure. Fantastic customer experience with an incredible end result in both form and function!!! Many thanks! We engaged Mint Windows and Door Solutions to replace windows and doors at our block of units at Narrabeen. The Deceuninck UPVC windows and doors are a quality product and hopefully with their durability will stand the test of time and the conditions at the beach in Narrabeen. Mint Windows were a pleasure to deal with throughout the project and always gave us great confidence. Sam’s customer service stood out from day one and the post installation support for things like damaged flyscreens have been excellent. It is very refreshing to deal with an organisation that is quick to answer calls or emails and to just get things done without any fuss. I have and will continue to recommend Mint Windows & Door Solutions to friends and anyone looking to have windows or doors installed. Mint Windows and Doors supplied a range of sliding, trifold and regular windows to replace my old wooden framed single glazed windows on a very weather exposed coastal site. The new windows are great. The house is warm, quiet and draft free for the first time in many years. Sam was easy to deal with, provided a clear and inclusive quote and great personal service. Very happy to see his business going from strength to strength. We had 5 double glazing windows installed by Mint Windows and we couldn't happier. The entire process was a breeze, they were so professional and did a fantastic job. As soon as we make progress with the rest of our renos, we'll definitely use them again. Nathan and Mahi did a superb job! They are highly skilled and clearly passionate about their workmanship. The whole process was seamless and the end result fantastic! Four double glazed windows to replace our old rickety windows. Nathan even replaced an old frame. Thanks a mil!! I had tried three suppliers to just get a quote before I found Mint. The others didn’t get back to me, or said they would and then didn’t. I spoke to Sam from Mint and he gave me a quote within hours. We then the. Surprised and delighted that the windows could be installed so quickly. Installation was done quickly and efficiently. Very happy. I would like to sincerely thank Sam and Nathan for all their hard work over the past year. During a large renovation Mint Windows and Doors replaced all of our 1960s steel frame windows (a job that no other company seemed willing to undertake) and successfully replace them with our new uPVC windows in a style that matched our previous windows exactly. In our new rooms Mint installed a massive window and back door - also matching the style of the house and the renovations. All the windows look amazing and the thermal and sound improvements we have experienced are incredible. At the completion of the job Sam and Nathan have worked hard to ensure that we are satisfied with our windows and doors and have gone above and beyond in their after sales service. We greatly appreciate the lengths they have gone to to rectify a minor issue with our backdoor - and we couldn’t be happier with the end result. If you are looking for a great looking, high quality product from a team that is professional and hard working during quoting and installation, with fantastic after sales support and service - I highly recommend you use Mint Windows and Doors. The first things that people comment on when they walk into the new second story of my home is the windows. "Oh I love the windows!" They give the best insulation, best sound proofing, easy to operate, and a price that quite reasonable for the quality product you get. I am looking forward to doing the second stage of my home and change out all the old windows to new Mint Windows. Thank you to Sam and his team who make the whole process easy. We recently had doubled glazed windows installed by Mint and we are loving our new windows. They look great, are of high quality, user friendly and we have had no issues after install. Sam was very professional, easy to deal with and happy to give time to answer lots of questions. His colleague Nathan, who installed them, was also very professional and did a great job. 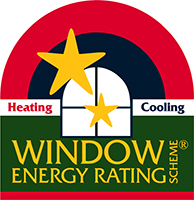 I would happily recommend Mint for double glazed windows - it was a pleasure working with them both!